Reuters and other foreign media are subject to Iranian restrictions on leaving the office to report, film or take pictures in Tehran. 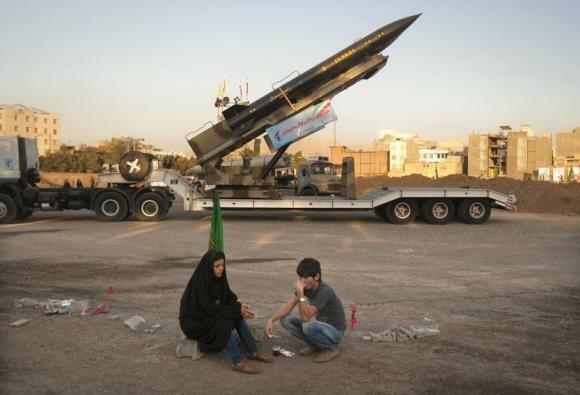 China said on Wednesday it “resolutely opposes” U.S. sanctions that could harm non-proliferation work between the two countries after Washington laid charges against a Chinese businessman accused of allegedly procuring missile parts for Iran. In a signal Washington would keep pressure on Iran over its nuclear program, the U.S. State Department also offered up to $5 million for information leading to businessman Li Fangwei’s arrest or conviction. “China resolutely opposes the United States citing domestic law to unilaterally impose sanctions on Chinese companies or individuals. We believe that what the United States has done will not help resolve the issue and will harm bilateral cooperation on counter proliferation, China’s Foreign Ministry spokesman Qin Gang said. China pays great attention to anti-proliferation export controls and will “seriously deal” with any violations of its laws, Qin told reporters at a regular press briefing. “China urges the United States to stop these wrong acts of putting sanctions on Chinese companies and individuals and return to the correct path of anti-proliferation cooperation,” Qin said. Li has been the target of U.S. sanctions in the past for his alleged role as a supplier to Iran’s ballistic missile program. In 2009, he was charged with selling restricted materials to Iran by the Manhattan District Attorney and Treasury banned him and his company, LIMMT, from conducting business in the United States without a license or authorization. The latest actions further limit Li’s ability to conduct business worldwide. Described as a “known proliferator” and a “principal supplier” to Iran’s ballistic missile program, Li has also been accused of trying to buy materials from the United States, China and other countries that could be used by Iran to produce or deliver weapons of mass destruction. In March, a U.S. official said Iran had pursued buying banned components for its nuclear and missile programs, even while it was striking the interim deal to limit its disputed nuclear program. China said on Wednesday it would conduct joint naval drills with Russia in the East China Sea off Shanghai in late May, in what it called a bid to deepen military cooperation. China’s defense ministry did not give an exact location in the East China Sea, where Beijing is locked in an increasingly bitter dispute with Japan over the ownership of a group of uninhabited islets. “These drills are regular exercises held by China and Russia’s navies, and the purpose is to deepen practical cooperation between the two militaries, to raise the ability to jointly deal with maritime security threats,” the ministry said on its website. China was angered last week after U.S. President Barack Obama assured ally Japan that Washington was committed to its defense, including the disputed isles. Earlier this month, Tokyo announced it would break ground on a new radar base in the area, on a tropical Japanese island close to Taiwan. 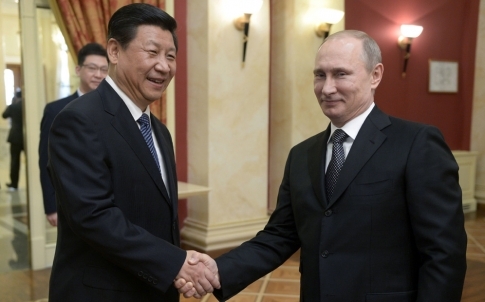 China and Russia have close diplomatic, security and economic ties, and regularly carry out military exercises together. 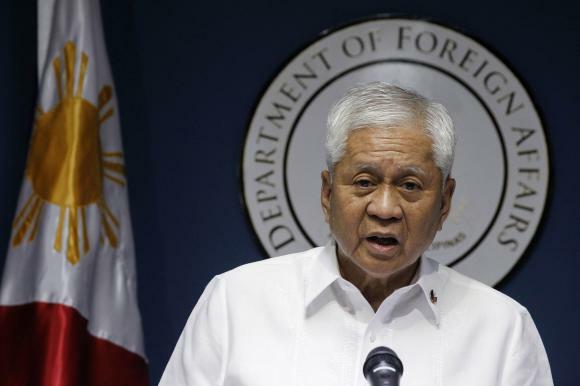 Philippine Foreign Secretary Albert del Rosario delivers a statement during a news conference in Manila March 30, 2014. The United States has a treaty obligation to help the Philippines in case of an attack on its territory or armed forces in the South China Sea, the Philippine foreign minister said on Wednesday, rejecting questioning of a security pact. The United States and the Philippines on Monday signed a 10-year Enhanced Defense Cooperation Agreement allowing U.S. forces wider access to Philippine bases and to position ships, aircraft, equipment and troops for maritime security. The deal was testimony to an “ironclad” U.S. commitment to defend its oldest Southeast Asian ally, U.S. President Barack Obama told troops from both countries this week while on a visit to Manila. But Obama did not say categorically the United States would defend the Philippines in its territorial disputes with China in the South China Sea, leading to some questions in the Philippines about the scope of the pact. Philippine Foreign Secretary Albert del Rosario issued a statement on Wednesday apparently aimed at dispelling doubts about the deal. “Under the Mutual Defense Treaty, the U.S. will come to the assistance of the Philippines if our metropolitan territory is attacked or if our armed forces are attacked in the Pacific area,” del Rosario said. China claims virtually the whole of the South China Sea and has in the past couple of years been much more assertive in staking its claim. In 2012, China seized control of a disputed reef known as the Scarborough Shoal, preventing Filipino fishermen from getting near the rocky outcrop. Last month, the Chinese coastguard blocked two civilian Philippine ships from delivering food and water to soldiers deployed aboard a Philippines navy transport vessel at another disputed spot, Second Thomas Shoal. They continue to blockade the area. The Philippines in March lodged a case against China at an arbitration tribunal in The Hague to try and settle the festering territorial dispute. Brunei, Malaysia, Vietnam and Taiwan also have claims on the South China Sea, where $5 trillion of ship-borne trade passes every year and is believed to have rich deposits of oil and gas. China’s Foreign Ministry said maintaining peace and stability “accords with all sides’ interest” and would require hard work by all sides. “The (Chinese) people have reason to demand that any agreement signed by the United States and the Philippines accords with this principle and does not harm mutual trust with other countries in this region and regional peace and stability,” ministry spokesman Qin Gang told reporters at a regular briefing. Some Philippine legislators and non-government organizations have criticized the security deal with the United States as unconstitutional and said it unfairly favors the United States. “Through the Enhanced Defense Cooperation Agreement, the Philippine government has surrendered our sovereignty to free-loading U.S. forces,” said Renato Reyes of the left-wing Bayan (Nation) group. The U.S. is on the brink of losing its status as the world’s largest economy, and is likely to slip behind China this year, sooner than widely anticipated, according to the world’s leading statistical agencies. 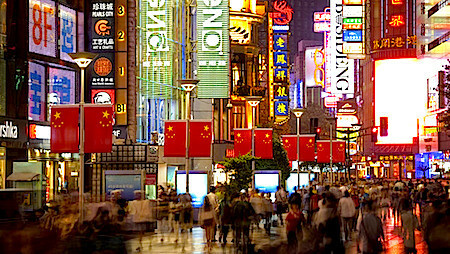 China Rare Busy Appearances of Retired Top leaders Forebode Something Great? There are always various factions in CCP, but the establishment and development of factions have become vital for Chinese politicians since Mao’s Cultural Revolution because those who were in a faction with substantial strength suffered less persecution and regained their positions sooner during and after the Cultural Revolution. As mentioned in Chapter 7, a high-ranking official usually appoints and promotes quite a lot of his people to official posts when he is in power. Those people together with the officials appointed and promoted by them are bound together by comradeship, friendship and common interests and aspiration. They become a faction led by the high-ranking official. When the high-ranking official has retired, he still has his faction under his control and thus becomes an elder with great influence. He will interfere for the interests of his faction whenever possible if necessary. When it comes to the decisions at a Party Congress on candidates for members of Central Committee, Politburo and its Standing Committee, Central Military Commissions and Party Secretariat and other senior posts, all the retired elders who have been dormant, will come out to take part in the bargaining behind the scene because it affects the balance of strength among various factions and concerns the interest of not only them but also the large number of their faction members. Just as described in the book, before and during the 18th Party Congress, those dormant elders were quite active and made quite a few appearances, but when there is no such grant event as the Party Congress, they all keep a low profile and seldom appear. Therefore, it is quite unusually that recently quite a few dormant retired elders were busy making appearance. The most prominent was former general secretary Hu Jintao. 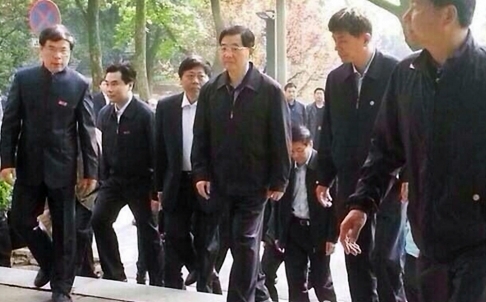 He visited Yuelu College and Hu Yaobang’s former residence respectively on April 9 and 11. Then he toured famous scenery spots Zhangjiajie and Fenghuang Ancient City. Finally on April 17, he visited Guizhou Province he was in charge of before rose to the top. Hu’s travel obviously aimed to express his support for Xi Jinping’s mass line and anti-corruption campaigns and ambitious reform. Why? I said, at Yuelu College, “Hu had a small entourage in accordance with Xi Jinping’s regulations and he refused to write an inscription at despite of repeated requests in accordance with Xi’s instruction that leaders shall not write inscription without central authority’s approval. He finally agreed to give his signature”. Jiang Zemin, the core of CCP (Chinese Communist Party) Dynasty, in addition to his praise of Xi when he met Kissinger, has made three appearances recently: He visited his niece in Shengzhen at the end of March, toured Shouxihu Lake in his hometown Yangzhou on April 19 and visited his cousin in Shanghai on April 22. His appearances were also regarded as aiming at showing not only his support for Xi but also his good health at the advanced age of 87. It gave the signal that that those who have been touched by Xi’s campaigns had better behave themselves. However, it seems their appearances were not simply expressing their support. There must be something great being planned, perhaps an important meeting of top leaders and powerful elders on some important issues. Not only the two top elders respectively being the leaders of the most powerful Shanghai and CYL factions, other retired elders including Wu Bangguo, Jia Qinling, Li Changchun, He Guoqiang have all made recent appearances. Some analysts believe that they appeared to show support for Xi or that they have not been affected Xi’s campaign, but I would rather believe that they want to show that they are healthy and strong able to take part in the coming great meeting or occasion. 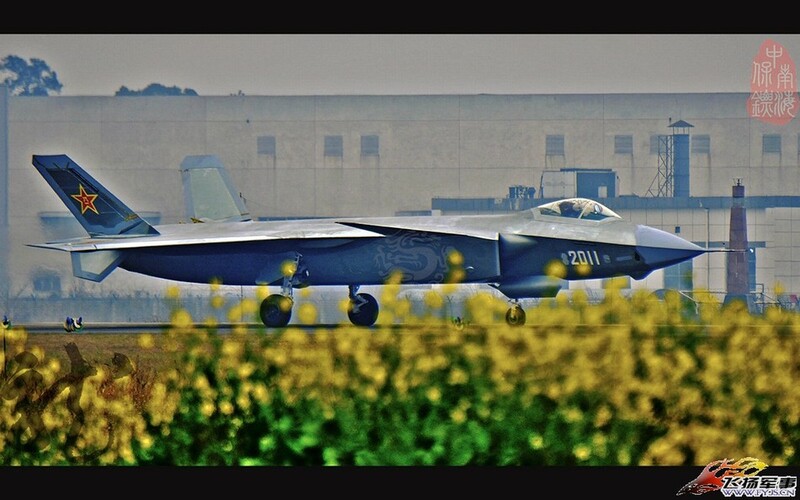 Some new photos of China’s new version of J-20 with new stealth coating have recently been posted on the Internet. 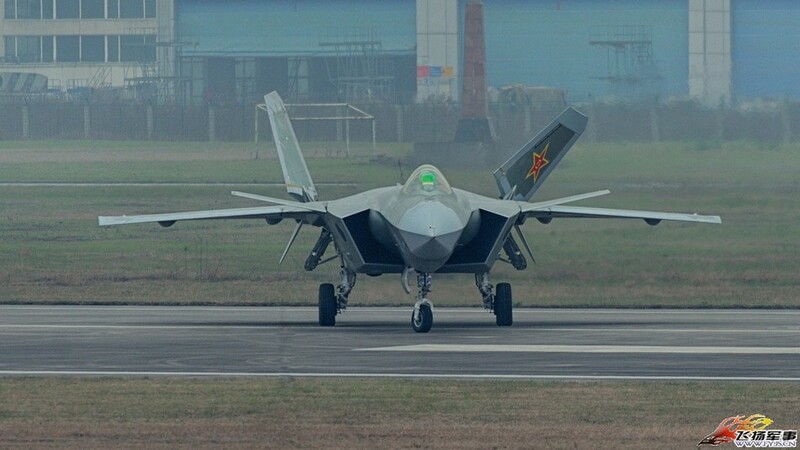 The New J-20 no. 2011 shines bright in the photos with silvery coating. Some web users exclaimed that it looked like a sci-fi galaxy fighter jet and simply mad one blind by its brightness. Analysts say that the new coating makes the fighter better undetectable. U.S. intelligence agencies recently confirmed China’s development of a new intermediate-range nuclear missile (IRBM) called the Dongfeng-26C (DF-26C), U.S. officials said. The new missile is estimated to have a range of at least 2,200 miles—enough for Chinese military forces to conduct attacks on U.S. military facilities in Guam, a major hub for the Pentagon’s shift of U.S. forces to Asia Pacific. As part of the force posture changes, several thousand Marines now based in Okinawa will be moved to Guam as part of the Asia pivot. In April, the Pentagon announced it is deploying one of its newest anti-missile systems, the Theater High Altitude Area Defense (THAAD) to Guam because of growing missile threats to the U.S. island, located in the South Pacific some 1,600 miles southeast of Japan and 4,000 miles from Hawaii. And on Feb. 10, the Navy announced the deployment of a fourth nuclear attack submarine to Guam, the USS Topeka. Chinese military officials said the Topeka deployment is part of the Pentagon’s Air Sea Battle Concept and posed a threat to China. Disclosure of the new Chinese IRBM follows the announcement this week by Defense Secretary Chuck Hagel that the U.S. military is sharply reducing its military forces. “How can [U.S. policymakers] possibly justify such reductions in defense spending when American forces as far away as Guam, Korea, and Okinawa are targeted by these nuclear missiles,” said one official familiar with reports of the DF-26C. It was the first official confirmation of China’s new IRBM, which officials believe is part of the People’s Liberation Army military buildup aimed at controlling the Asia Pacific waters and preventing the U.S. military entry to the two island chains along China’s coasts. The first island chain extends from Japan’s southern Ryuku Islands southward and east of the Philippines and covers the entire South China Sea. The second island chain stretches more than a thousand miles into the Pacific in an arc from Japan westward and south to western New Guinea. Few details could be learned about the new missile and a Pentagon spokesman declined to comment, citing a policy of not commenting on intelligence matters. The missile is said to be on a road-mobile chassis and to use solid fuel. The fuel and mobility allow the missile to be hidden in underground facilities and fired on short notice, making it very difficult to counter in a conflict. The DF-26C is expected to be mentioned in the Pentagon’s forthcoming annual report on China’s military power, which is due to Congress next month. Adm. Cecil Haney, commander of the U.S. Strategic Command, told a congressional hearing this week that missile and other nuclear threats from China and Russia continue to grow. Online reports of three new types of medium- and intermediate-range missiles have said the weapons could be multi-role systems capable of firing nuclear or conventional warheads, along with maneuvering anti-ship and hypersonic warheads, Fisher said. According to Fisher, two likely transporter erector launchers (TEL) for the new missiles were displayed last year on Chinese websites. They include two versions from missile TEL manufacturing companies called Sanjiang and Taian. Three years ago, the state-run Global Times reported that the China Aerospace Science and Industry Corp. (CASIC) was working on a new 2,400-mile range missile that would be deployed by 2015. That Chinese manufacturer also produced the DF-21 missile, prompting speculation that the DF-26C is a follow-up version of that system. “China is developing and will soon deploy new longer-range theater missiles as part of its anti-access, area denial strategies, to be part of a combined force of new long-range bombers armed with supersonic anti-ship missiles, plus space weapons and larger numbers of submarines,” Fisher said in an email. These forces are being deployed to push U.S. forces out of the first island chain and to have the capability to reach the second chain, including Guam, he said. According to Fisher, the Chinese missile buildup has forced the Navy to redesign its first aircraft carrier-based unmanned combat vehicle into a larger and longer aircraft. The new Chinese long-range missiles also highlight the urgent need for a new U.S. long-range bomber to replace an aging fleet of strategic bombers. To counter the Chinese threats, the United States should field its force of anti-ship ballistic missiles on submarines to match Chinese capabilities and deter China from using its naval power against U.S. allies such as Japan and the Philippines, Fisher said. Russian officials have cited China’s intermediate-range missiles as one reason Moscow is seeking to jettison the U.S.-Russia Intermediate-Range Nuclear Forces Treaty (INF), which bans medium and intermediate ballistic and cruise missiles. U.S. officials have said Russia is violating the INF treaty with a new cruise missile and testing its long-range missiles to INF ranges. “It is time to retire the INF treaty because the United States now requires this class of missiles in order to deter China,” Fisher said. 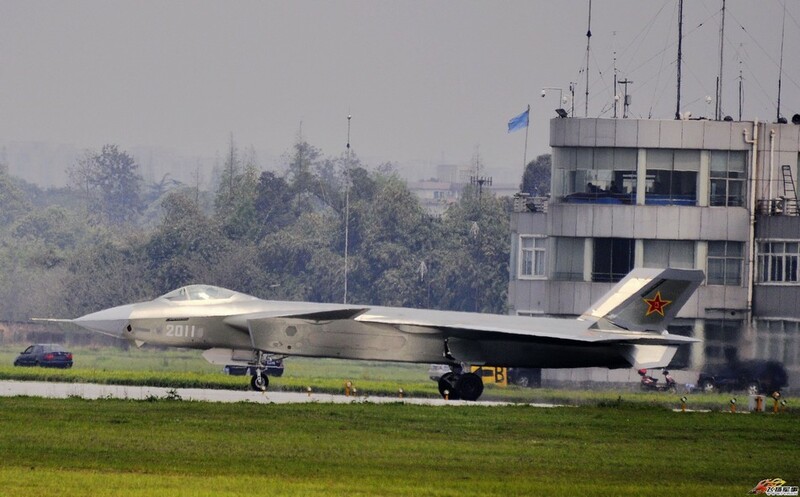 The weapons “appear designed to enable anti-access/area-denial (A2/AD) missions, what PLA strategists refer to as ‘counter-intervention operations,’” the report said. 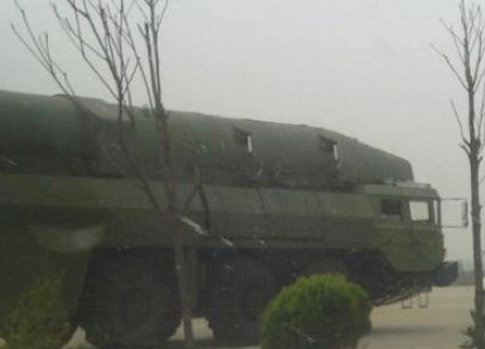 The Washington Free Beacon first reported on March 7, 2012, that the Chinese military had revealed online photos of a new intermediate-range nuclear missile. The new missile is believed by U.S. officials to be the DF-26C. China’s military frequently uses the Internet to reveal the first photos of new weapons systems. Analysts said the missile TEL shown in the photo is smaller in size than China’s DF-31 intercontinental missile and larger than the DF-21 missile.